Happy New Year everyone! We here at My Driveway Dr. had a great year on our blog and we look to continue the streak. We received our annual summary from WordPress and we had 28,000 blog views for 2012; that’s 10,000 more than in 2011! Our top referring sites were contractortalk.com, pinterest.com, facebook.com, and youtube.com. Thank you all for the support! We’ll leave this post on a high note, here was Driveway Impressions‘ last project of 2012. It was a large driveway in Arlington, VA. The pattern was Scallop and the color was Graphite. Driveway Impressions‘ complete brochure is now available online! This 12 page booklet will help answer all your questions about the decorative asphalt stamping process, the different patterns available, designs, and also colors. Learn more about the StreetPrint and StreetBond technology, and also the benefits/advantages of a Driveway Impressions driveway as compared to other decorative driveway options. Download your free Driveway Impressions brochure today! Whether you’re a gardening guru or a green thumb beginner, you may have heard of Dr. John. With 24 years of service with Merrifield Garden Center, and the winner of the 2005 Home Video Festival; he is your neighborhood garden expert. He is here to help answer all your questions about plants, flowers, weeds, tools, chemicals, pests, wildlife, landscaping, growing, and more! Dr. John has hosted a weekly show on Fairfax Public Television for many many years, showcasing different home improvement and landscaping ideas. 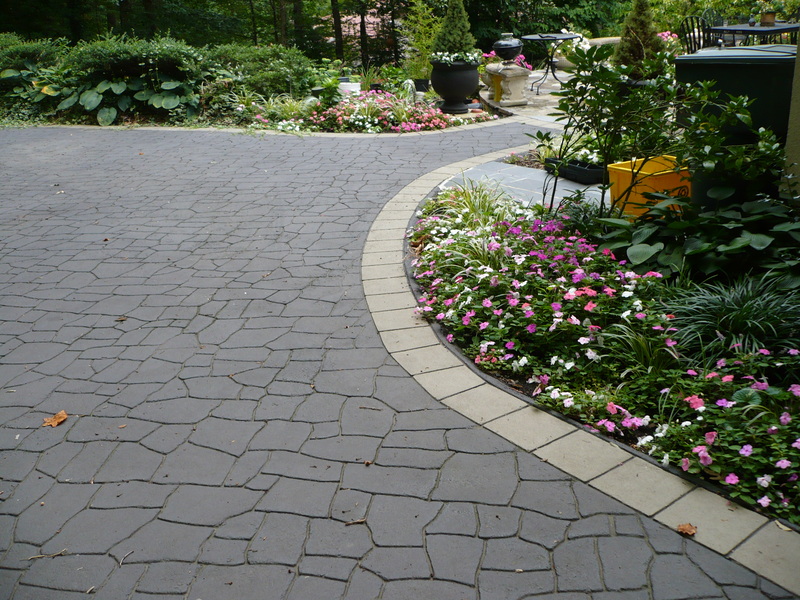 Driveway Impressions and decorative stamped asphalt were recently featured on Gardening News & Views with Dr. John. Hear about the different benefits compared to other decorative options, the unique process, and also the different customization options available. Take a look! Aaron Seekford, or “Mr. Arlington”, earned this title thanks to his local upbringing and unmatched knowledge of his hometown. He is an expert in the Arlington, VA area and became a licensed realtor in 1995. In 2000, he became one of the youngest realtors in the DC metropolitan area to earn his broker’s license. They know all there is to know about realty and your home. Arlington Realty Inc. and Mr. Arlington are realty experts in the DMV area, and we appropriate their support. To read the full article about Driveway Impressions click here. Summer is here! Time to take out the beach gear, take off the pool covers and enjoy the sun. But its not all fun and games when it comes to your home and outdoor space when summer rolls around. So lets take out the lawn mower, gardening tools, and weed removers. Weeds and unwanted plants are a regular occurrence when Spring and Summer comes around. It can become unsightly and unruly when left untreated. 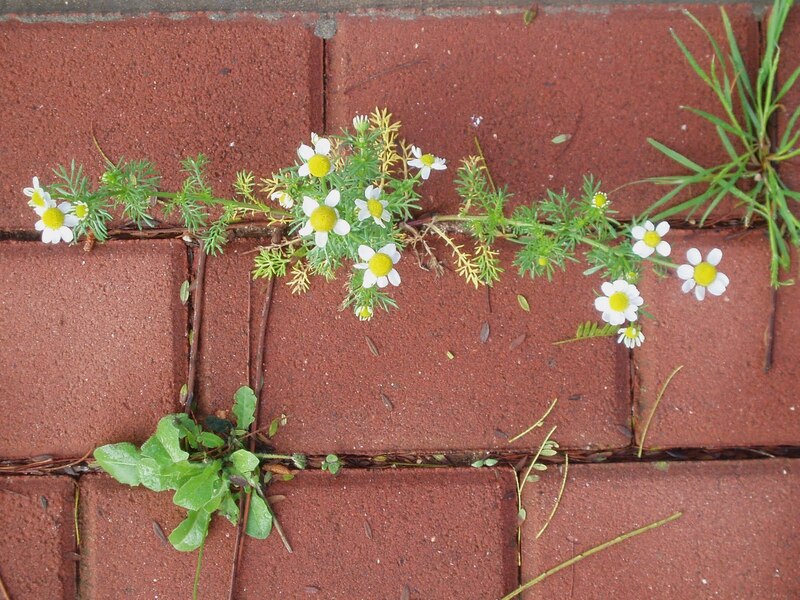 One of the hardest places to get rid of vegetative growth/weeds is in between brick pavers; whether it be the sidewalk, driveway, or patio. Homeowners usually have to spray these areas with weed removers several times a summer because they keep coming back. Here is a great article from House Logic that describes the most common weeds found on your property, a natural way of removing them, and also a chemical way. One of the great perks of having a Driveway Impressions StreetPrint decorative asphalt driveway is that it is a continuous surface, unlike brick pavers. The protective surfacing system, or coatings, does not support organic materials, so the weed growth seen with hand laid products is not a problem on a stamped asphalt driveway. Can’t get any better! 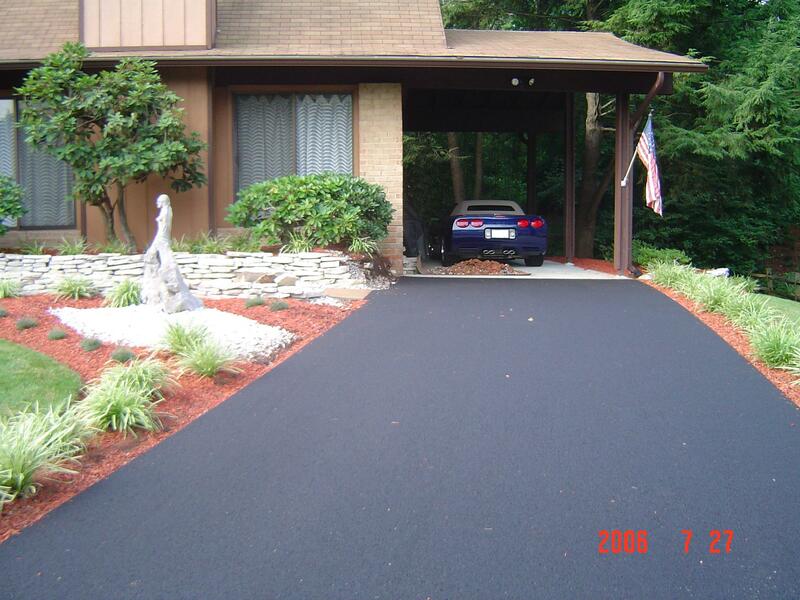 Asphalt is one of the most common alternatives homeowners use for their driveways. It is typically more cost friendly as compared to concrete, and is rather easy to install. However, when the pavement is brand new, some simple steps can help keep your new pavement looking new for years to come, whether this be a regular asphalt driveway, or a decorative stamped asphalt driveway. 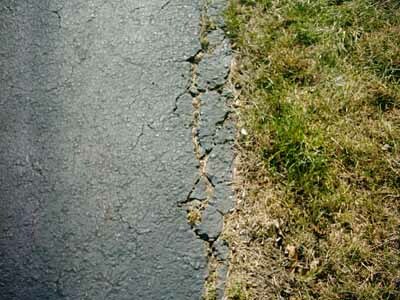 Have you looked at the edges of your asphalt driveway and seen cracks, crumbling, and break off? And wondered why this is happening, since you just recently had this driveway put in? Well this is a common result of not backfilling your driveway. With any driveway install, the edges are typically weaker than the middle of the pavement, because there is a lack of support on the side. As a result, when you drive your car too close to the edge…or maybe even over the edge, that lack of support causes cracking and crumbling. However, there is a simple step you can take to help prevent this potential issue…Backfilling! We suggest backfilling the edges of your asphalt driveway and also stamped asphalt driveway with topsoil for added support. This is also enhances the aesthetics of your driveway. Pack topsoil in the area between the driveway and the grass. You can also plant grass seed in the soil; as the grass grows in you will have a driveway that meets right up to the landscaping. Backfilling provides support on edges giving weight bearing support to vehicles that might accidentally drive off the edge; thus helping to prevent crack, crumble and break off. This is also very important in your stamped asphalt driveway as well. See the difference in appearance with a driveway that has been backfilled. If you are interested in home remodeling, home repairs, home makeovers, creative decorating ideas, interior and exterior improvements, home purchasing…and so on and so on (well you get the point), you probably watch HGTV and their large arrange of shows. From how to go about buying a new home, to how to improve and upgrade your current living area. A popular one is HGTV’s Curb Appeal. Offering great ideas for how to make the most of your home’s appearance. Curb Appeal looks at homes with fresh ideas and offers up tips for turning those ideas into reality. Each episode features a real house and homeowner with guest experts who discuss the owner’s needs and propose projects to improve the home’s appearance. Then the crew goes to work, transforming outdated and boring homes with stunning makeovers. HGTV’s Curb Appeal frequently looks at driveway improvements on the show, and below are just two episodes that have used decorative driveways (specifically stamped asphalt) to complement the overall feel of the home.The driveway is a large part of a homes first impression and is an extended part of the landscaping. Why spend all the time and effort on beautiful landscaping, and than have a big, plain, black landing strip (the asphalt driveway) sitting their as an eyesore? After seeing these photos from the show you’ll wonder why you never thought you needed a decorative driveway…because trust us…you do. A Scallop patterned decorative driveway was chosen to complement the Asian elements and arts-and-crafts style of the home. Landscape designer Robert Woodman also contributed a Japanese garden to the cause. The second episode titled “Woodland Bungalow”, featured a couple who loved the outdoors, but the plain brick facade and overgrown yard kept them trapped inside their bungalow. Designer Daniela Franciscus and landscape designer Blake Dunlevy liven up the look of the house and yard. Decorative stamped asphalt was used to give the appearance of aged stone. Random Slate was a perfect fit for this HGTV project.